The high transparent 1.6in IPS touched widescreen offers a broader view which enables you to monitor the whole road while driving. 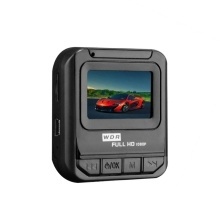 Front camera captures full-HD 1080P video, record every important moment of your driving clearly. Wide dynamic range allows the camera to perform optimally in any lighting situation by adjusting the exposure to create balanced images and footage.